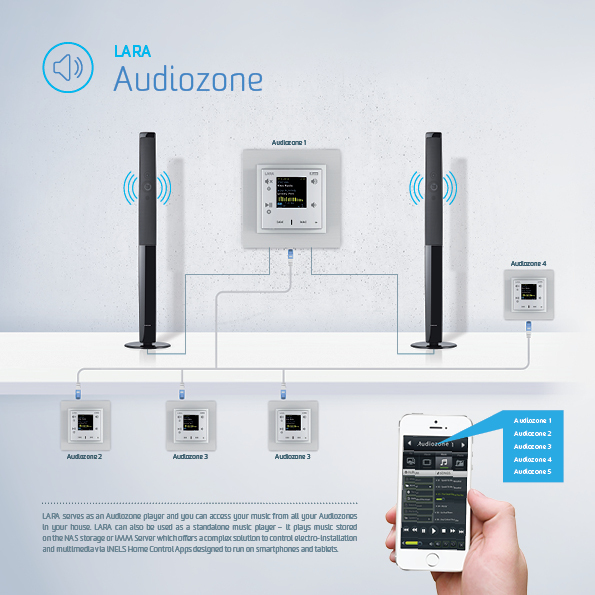 LARA is not only your radio and music player, but also can serve as an INTERCOM, DOOR COMMUNICATOR (VIDEO PHONE) or AUDIOZONE. 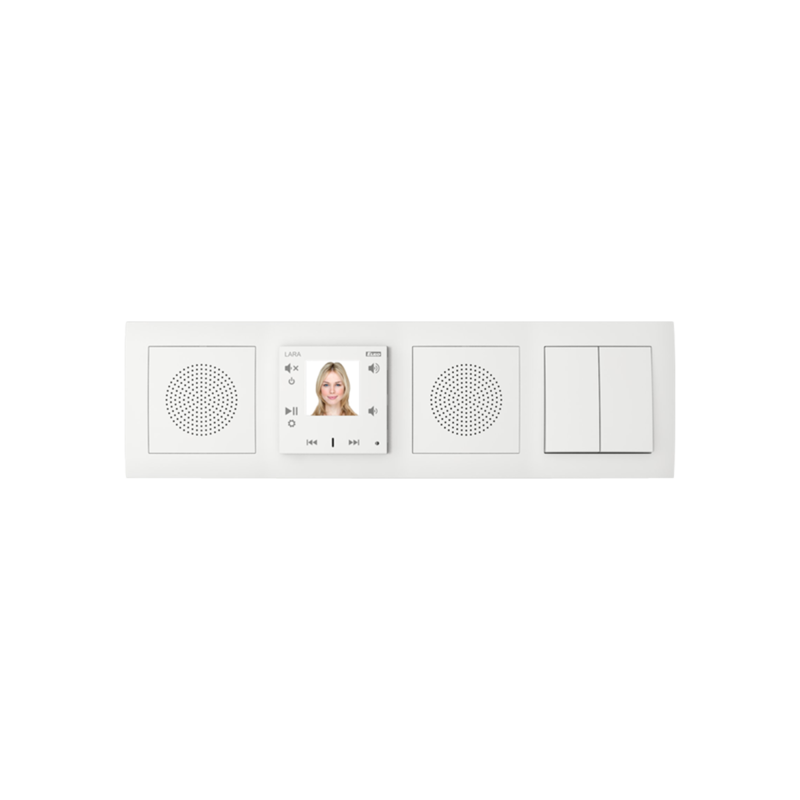 INTERCOM allows you two-way communication between all rooms in your homes. 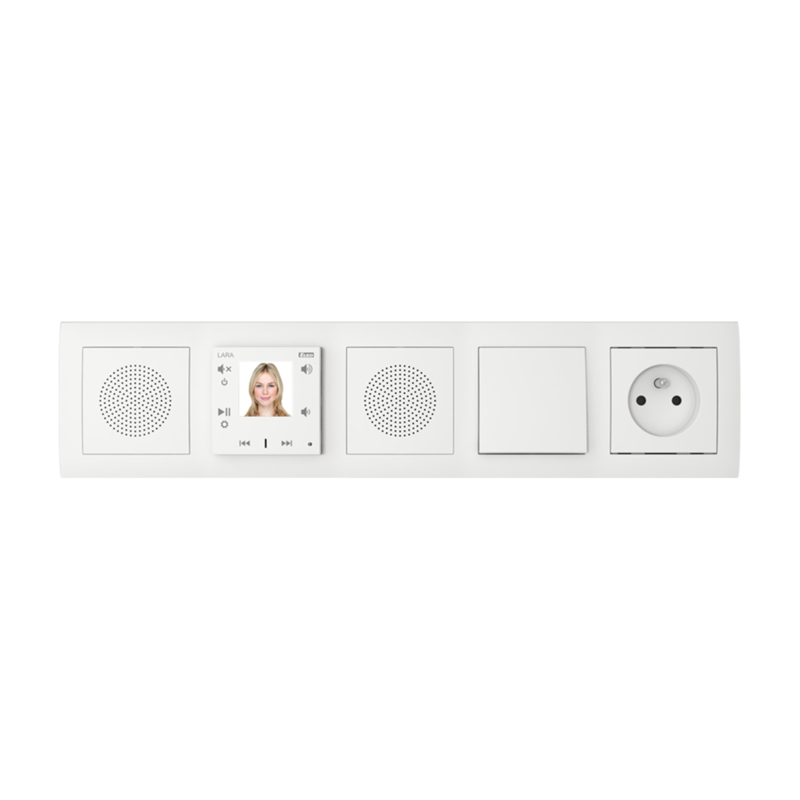 It allows communication between up to 8 LARAs. 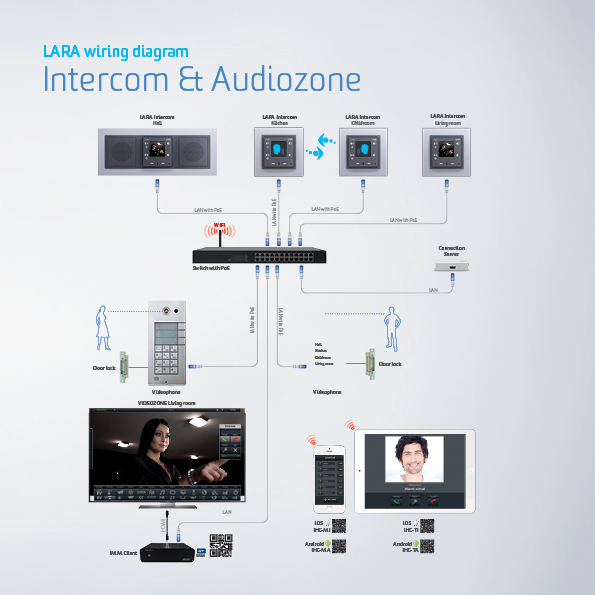 In case of installation with IP Door Communicator 2N (with integrated Asterisk), it is possible to communicate not just between LARA but also between Smartphones (with iHC-MA, iHC-MI Apps). 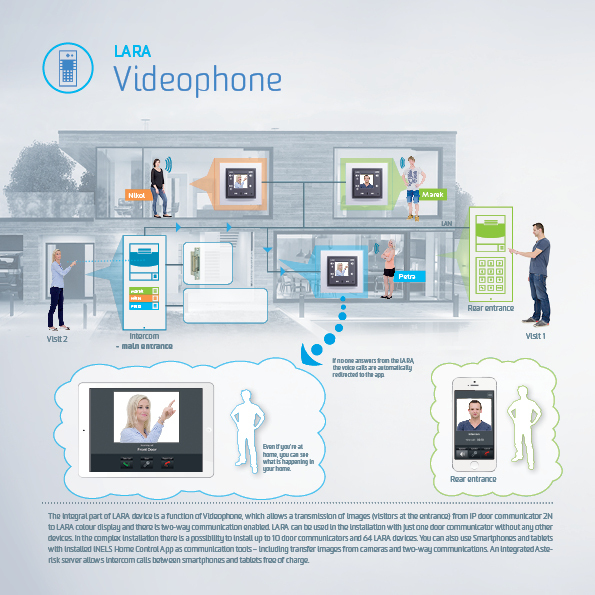 VIDEOPHONE allows communication with IP door communicators from company 2N and ALPHATECH TECHNOLOGIES (IP BOLD); pictures, images and voices are being relayed to LARA. If you are not at home, all calls are transferred directly to your mobile device. 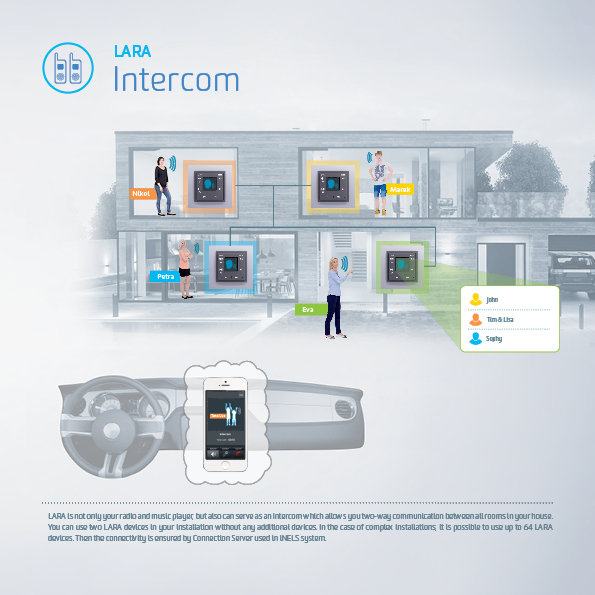 In one installation, you can connect 6 x LARA + 2 IP Door Communicators (or combine up to 8 accounts). 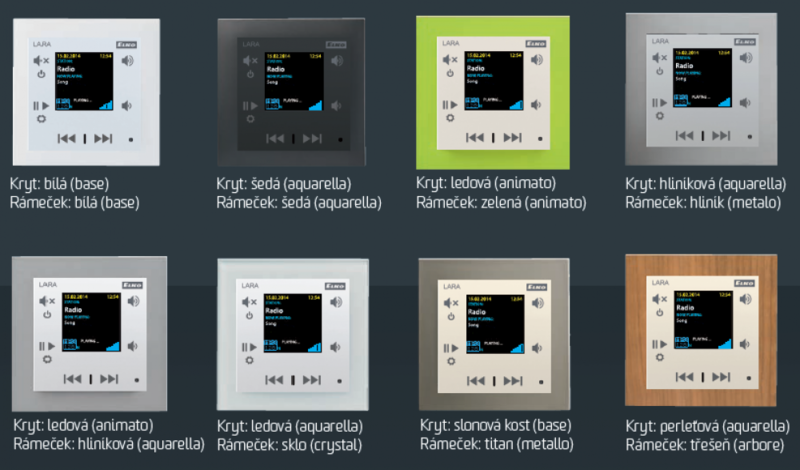 AUDIOZONE, that allows you to play your favorite songs within your home from anywhere. Music is stored on NAS (Network Attached Storage). You can simply put your LARA together through our LARA Configurator.